Owning a cockapoo is a wondrous joy, they enrich our lives in so many ways but they are not the right type of dog for everyone. 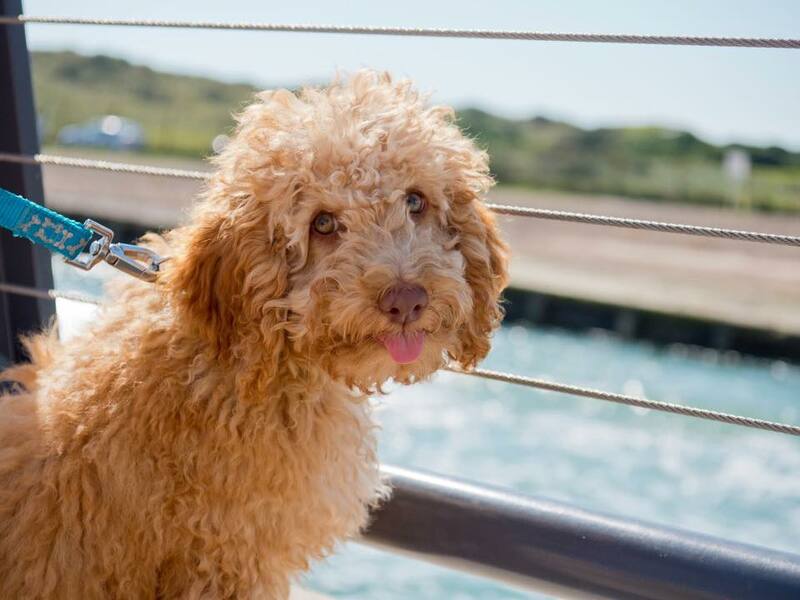 Before sourcing your breeder it is worth going through the following list and making an honest decision as to whether owning a cockapoo is right for your current lifestyle and circumstances and is the right type of dog for you. A dog is a huge commitment and owning one should be a privilege. You should only consider a dog if you can fulfil his needs and have considered all that it entails. We are seeing a huge amount of cockapoos being bred as their popularity continues, but also a rise in the amount up for rehoming. Can your offer a life long commitment? A cockapoo can live around approx 12-16 years of age are you able to commit to providing his needs such as food, shelter, exercise, training, grooming and love and care for those years every day? This will also include making provisons for the times you may not be there such as holidays and Christmas or if you have an active social or work life where you are away from home for long periods of time. Do you have the time and patience to train? Puppies can be hard work. When you first bring them home they need to settle in and establishing a bedtime routine is one of the first things people can find hard. They will also need to be toilet trained which doesn't happen overnight,and learn about bite inhibition, learn basic commands, be socialised and have recall training. Puppy nipping is one of the most stressful stages our club members go through during the puppy development stage, especially as pups go through teething just like a human baby they find it painful at times and uncomfortable. Training continues as pups go through adolescence, a period when you often have to reaffirm your training already learned and often a case of one step forward and two back. Reaffirming basics is often what is needed to get you back on track. Do you have time for grooming and coat maintenance? Cockapoos require a regular grooming regime to keep the coats matt free. Their coats especially as adults require regular brushing and combing and they need to be be cut either clipper or scissor cut approx every 8 weeks. A groomer will charge approx £25-45. If you don't keep up with the grooming their coats matt very easily which is painful for them and you are more than likely if you go to a groomer, have their coat cut very short due to the matts.Many also enjoy getting very dirty, they love mud, water and rolling in poo! Their coats also attract grass seeds and burrs and twigs etc.... so often you have to spend lots of time picking them out of their coats. Grass seeds are also dangerous and often the get embedded in their ears and paws and require the vet to remove. This usually means sedation. With paws the seed can travel up the leg and into other areas and an operation is more extensive. So it is important that all owners of cockapoos check their dogs after walks in areas where they can pick up grass seeds. Do you have time for exercise and mental stimulation? Cockapoos are active dogs with a lot of energy and require a good daily walk. They also enjoy being off lead, free to roam about and sniff and explore. They are an intelligent cross, and often can get bored, so playing games, teaching tricks, doing activities such as agility or fly ball often help. Whilst they also happy just to snooze, you must bear in mind these are active dogs. Do you have the funds to cover vet treatments and insurance? We recommend that you take out dog insurance to cover not only illness but any accidents the dog has or may cause to others. Some things will not be covered by insurance such as routine trips to vets for things like worming, flea treatments, neutering. So you will need money to pay for these over and above your insurance premiums. Cockapoos are also prone to ear infections due to their pendulous ears. 5) Are you looking for an independent dog? Cockapoos thrive on human companionship and some can be what we call “velcro” dogs. They love to be around you. Due to the close bonds they form some can be prone to seperation anxiety tendencies when left alone. Therefore it's good to get them used to be left alone from an early age, build up the time left in small stages. Are you wanting a cockapoo due to being allergic to dogs? It is misleading for breeders to describe them as being totally hypoallergenic, as people can get allergic reactions to the dogs skin, saliva and dander and not just the fur. Due to the variations in the coats there is no 100% predictability and their coats can take on the appearance of either the poodle or cocker or a bit of both. Whilst Cockapoos can inherit the low moulting coats of the poodle, it is not a given, and whilst there are many people with allergies who do not react with Cockapoos it is advisable that if you are an allergy sufferer, time is spent with a Cockapoo to see if a reaction does occur, preferably over a period of time. Maybe ask a breeder if you could visit both puppies and adults to see if any reactions do occur or an owner who is willing for you to spend time with their dog, Also try and ensure no other pets are present so that any reactions are not down to them. There is no scientific evidence that some breeds are more allergenic than others as it is not influenced by whether they moult but by their saliva and you cannot predict allergenicity of the saliva by breed/type. Some dogs will produce less allergens than others. Are you wanting a cockapoo as they don't moult? Cockapoos can shed hair although a lot are very low moulting especially if they take on more of a poodle coat. But as there is no 100% predictability with coats, then expect that some hair may be shed, especially those who are more cocker like in appearance and have a more cocker spaniel coat or have less curly coats. Are you wanting a Cockapoo as they are just so cute? Yes they are cute there is no denying that. However as with any dog they can have a wide variety of temperaments and are a dog that requires exercise, grooming and mental stimulation. Are you wanting a cockapoo as they are healthy? Cockapoos have health risks like other dogs. You must ensure when buying that at least one of the parents has been DNA tested clear for GPRA. This is a condition that affects the retina of the eye and can lead to blindness. Are you a full time worker? Many of our members that work full time do have dogs, but you do need to consider the length of time the dog is going to be left alone, especially during puppy and adolescent stages of development. If you use a crate,we do not recommend your dog is left alone in a crate for extensive long periods of time whilst you are at work. You need to make adequate provisions such as having a family member or friend or dog walker pop in during the day to take them out for a walk, play and check they are ok etc. For adult dogs,If you are able to take them out for a long walk prior to going to work they may be fine till you return home or may need just someone to pop in and check on them and let them out in garden. Some of our members use Doggy Day care facilities where your dogs go to be looked after for the day. If you think a cockapoo is right for you the next step is to research and find the right breeder.